Melt coconut oil over medium heat. Add cocoa and mix well. Shape into balls – about the size of a ping pong ball. Roll in confectioners sugar, and place on greased cookie sheet or parchment paper. Bake at 350 for about 12 minutes. 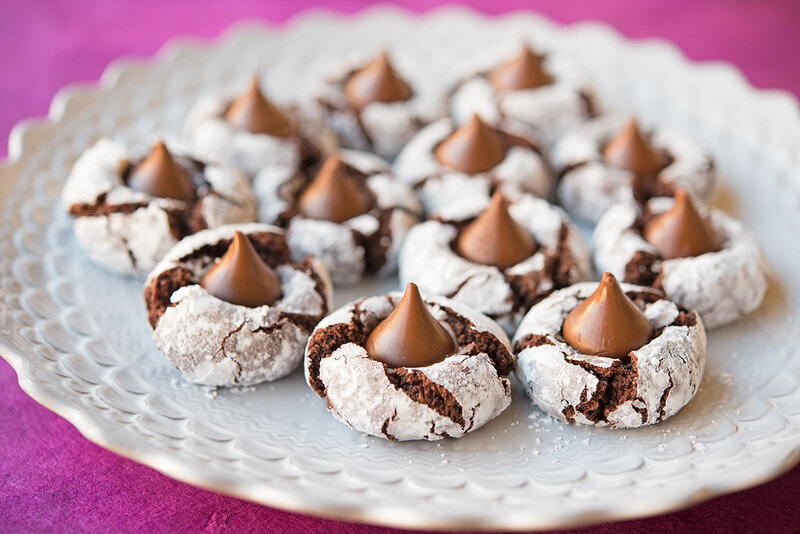 While baking, unwrapped Hershey’s kisses. As soon as they come out of the oven stick an unwrapped kiss in each one. This one is hard, but totally worth it: let set for about 2 hours. Enjoy! Categories: Baking, Christmas, Holidays, Recipe, Treats Tags: baking, baking powder, cocoa, coconut oil, egg, flour, hershey's kisses, recipe, salt, sugar, treats. permalink.